How to combine modern technology and many years of experience in supply chains of pharmaceuticals around the world? The cooperation between the French-Polish company Blulog and Thermolabo from France shows how to. The strength, efficacy, and potency of a drug can be profoundly degraded by changes in temperature and drugs should be stored and transported only within temperature conditions under the terms of their Marketing Authorisations (MA) if defined. Any excursion outside this range may result in having an influence on the main degradation factors of drugs and/or potentially lowering or losing the therapeutic effectiveness of a drug. Exposed to external conditions, transport is one of the least reliable pharmaceutical processes and in the real life, excursions during transportation are not rare events. 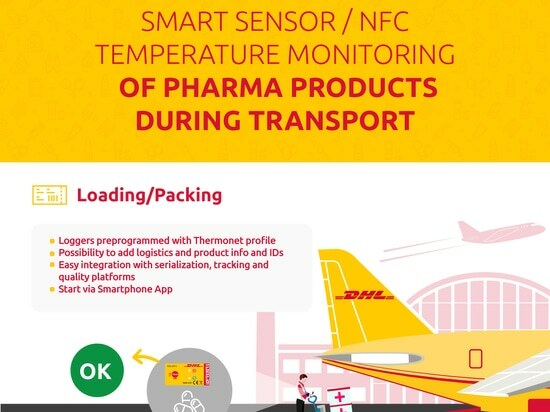 An effective temperature monitoring is therefore an essential component of Good Distribution Practice (GDP) followed by the people dealing with transport, storage, and distribution of pharmaceuticals before their final dispense to patients. In this context, Stéphane Mure founded Thermolabo in 2015 to help pharmacists and Qualified Persons (QP) to provide billions of people access to high quality medicines. “Thermolabo’s activity was initially focused on temperature data management and dataloggers supply services. We were constantly obliged to address the same problems generated by traditional dataloggers and decided to look on how to provide our customers a compliant, easy to use, geolocated and low-cost way to monitor their pharma products. 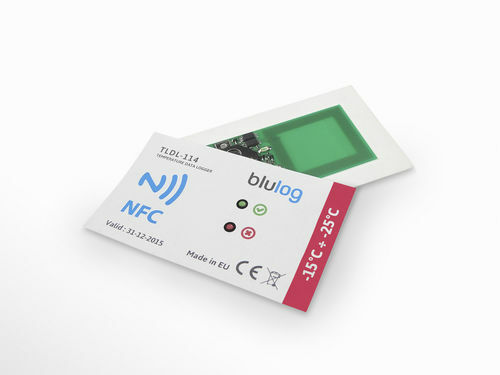 After testing GSM, Bluetooth and IoT technology, it become quickly clear that only NFC Contactless technology can fit with all expectations and we engage a partnership with Blulog to develop a pharma-centric contactless monitoring solution.” says Stéphane Mure, CEO at Thermolabo. From the beginning, the French company initiative was driven by simplicity. “Sensolabo® strengthens compliance by eliminating data manipulations and reduces goods receiving time and workload…it only takes 5 seconds to start and 2 seconds to process..that give you all your time to monitor serenely”. The French company bases its services on modern technologies. The key is cooperation with Blulog, a Polish-French company that has found and patented an intuitive solution to support temperature monitoring. The system works on the NFC technology. Credit card size data loggers perform measurements with a setup measurement interval and are equipped with a coin cell battery and the data is encrypted and collected in the application. - Our data loggers measure the temperature with accuracy of +/- 0.2 ° C in the range from 0 to 30 ° C and +/- 0.4 ° C in the remaining range. Detailed data is available at all times using any Android, NFC-equipped phone or special readers. Then users can store data on a secure server, get access automatically generates reports and charts. - says Jérémy Laurens, CEO of Blulog. The data loggers can be mounted in refrigerators, medical staff rooms, but also in containers or vehicles used for transporting medicines. Such a range of possibilities means that the Thermolabo services based on Blulog technology are used in Auvergne-Rhone (a region in the French Alps) or other drug companies throughout Europe, Asia and the Middle East. What's more, an important advantage of the system is the simplicity and rapidity of use - to start the device, users have just to press the button for a few seconds. The technology is already used by pharmaceutical companies and drug distributors around the world, major NGO-s and different medical entities, as well as other international companies, including DHL: http://trends.directindustry.com/blulog/project-127003-185986.html. The logistics company, providing services for more than 220 countries, was looking for a system that could enable them to monitor storage and transport conditions of perishables in an easy and efficient way. Meet Blulog in Amsterdam and Lyon ! Meet Blulog in Amsterdam and Lyon !